$6499 Contact us to order. 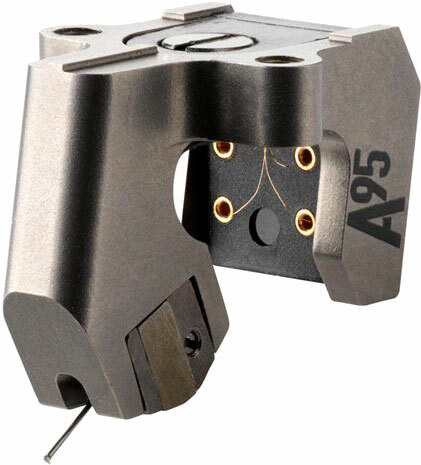 The MC A95 (2015) is a world-class moving coil cartridge launched to commemorate Ortofon's 95th anniversary. The MC A95 improves upon its predecessory the MC A90 by further reducing vibrations and increasing its dynamic capability. Experience lifelike, open sound with an exceedingly clear midrange. The MC A95 will pull out the last bits of detail but remains extremely musical.